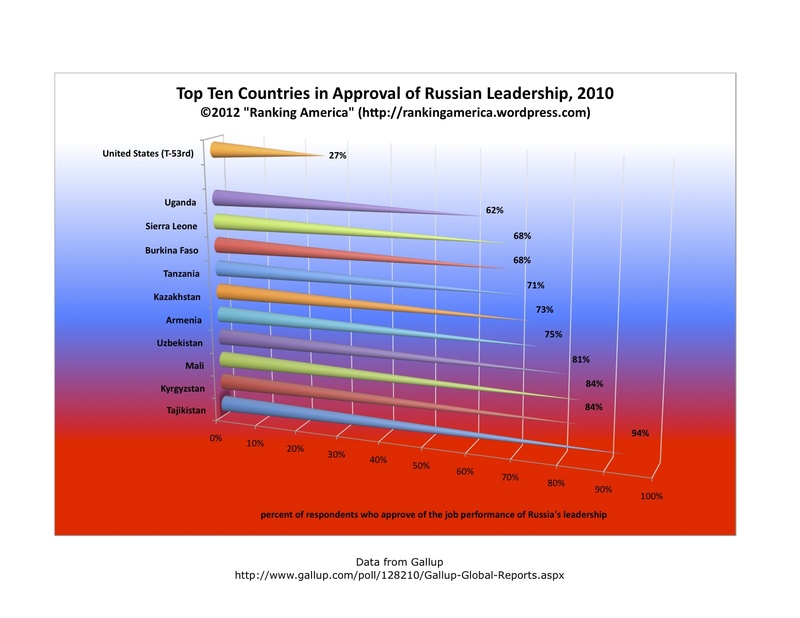 According to a 2010 survey by Gallup, 27% of American approve of the job performance of Russia’s leadership, which makes the United States tied for fifty-third with Cyprus out of one hundred four countries ranked in that category. Tajikistan ranks first, with 94% of respondents approving of the job performance of Russia’s leadership. 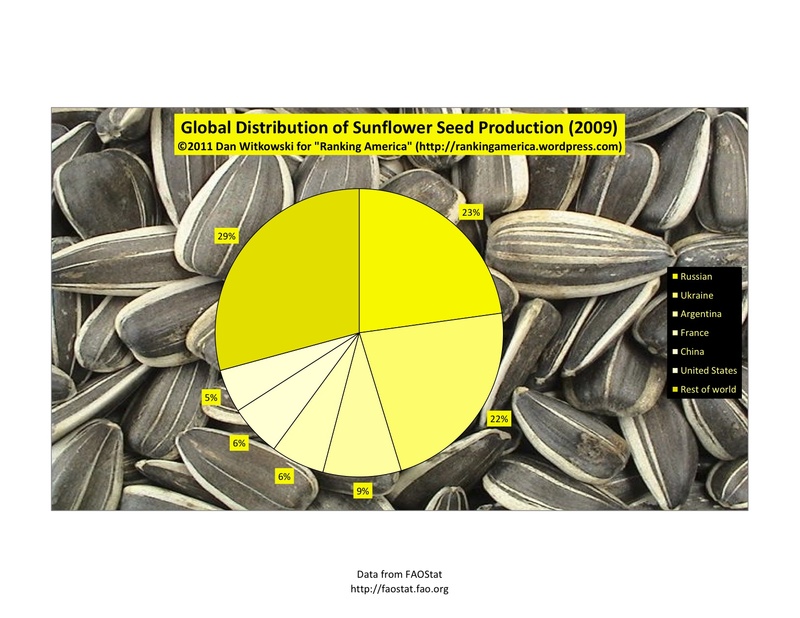 According to data from FAOstat, in 2009 the United States produced 1,377,130 sunflower seeds, or 5% of the world’s total production. That is enough to make the United States rank sixth in that category. Russia ranked first producing 6,454,320 sunflower seeds or 26% of the world total. 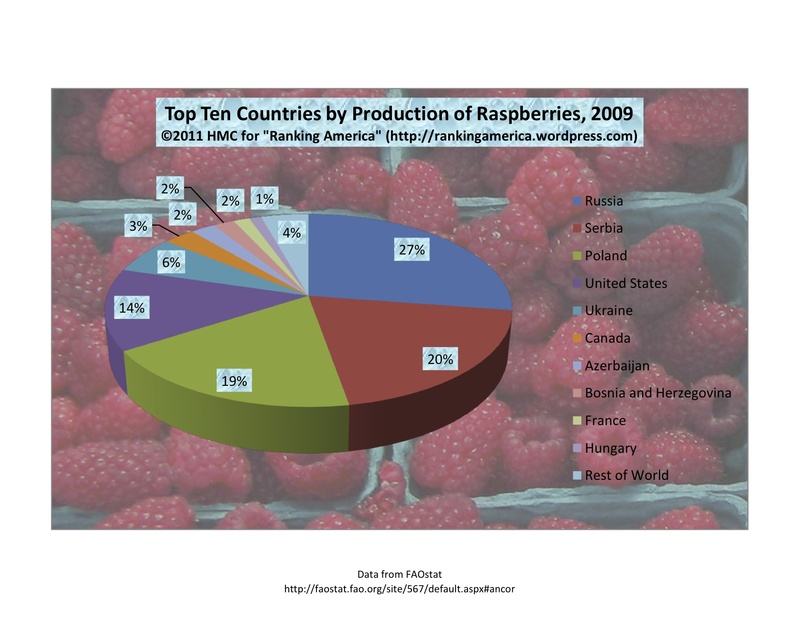 According to data available from FAOstat, the United States produced 60,056 tons of raspberries in 2009. This is enough for them to rank fourth in this category. Russia ranks first with 120,000 tons in 2009. 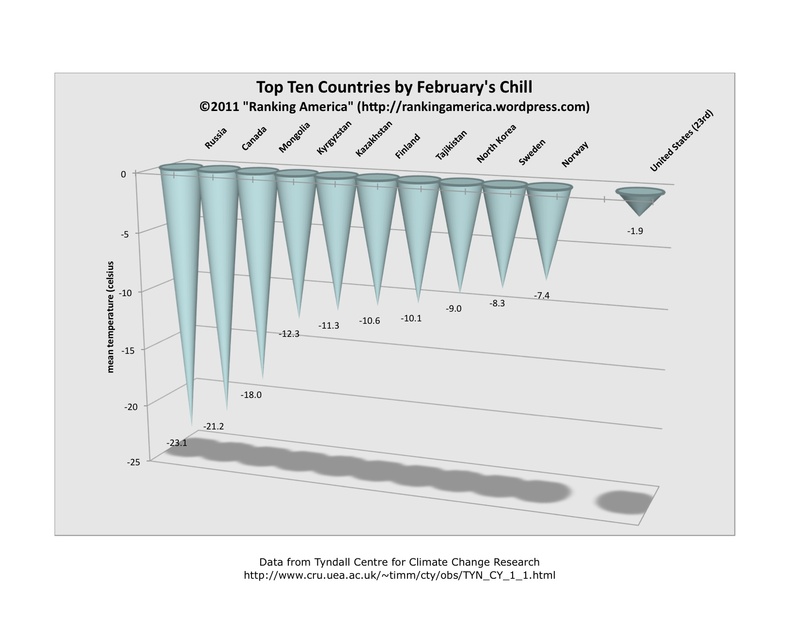 According to the Tyndall Centre for Climate Change Research, the United States has a mean February temperature of -1.9 degrees celsius, which makes the United States rank twenty-third in that category. Russia ranks first, with a mean February temperature of -23.1 degrees celsius. 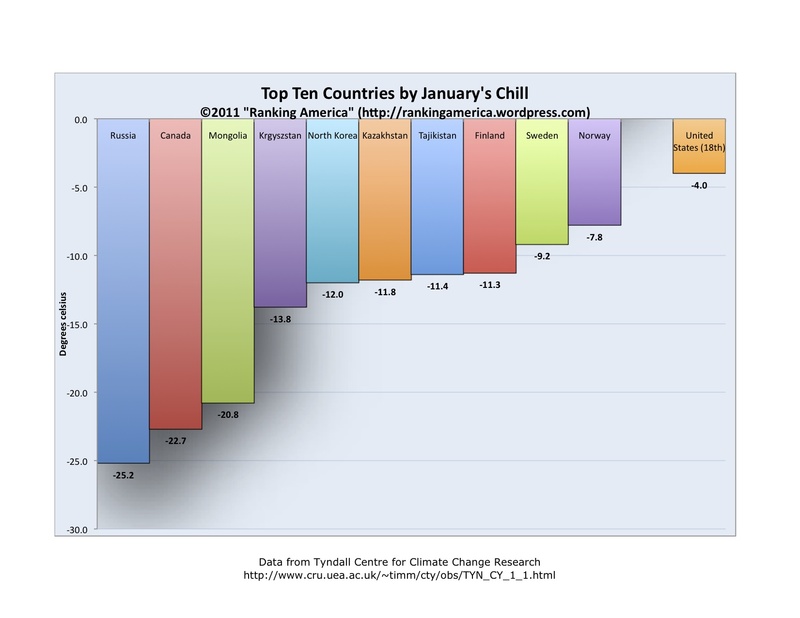 According to the Tyndall Centre for Climate Change Research, the mean temperature in the United States in January is -4.0 degrees celsius, which makes the United States rank eighteenth in that category. Russia ranks first, with a mean January temperature of -25.2 degrees celsius. 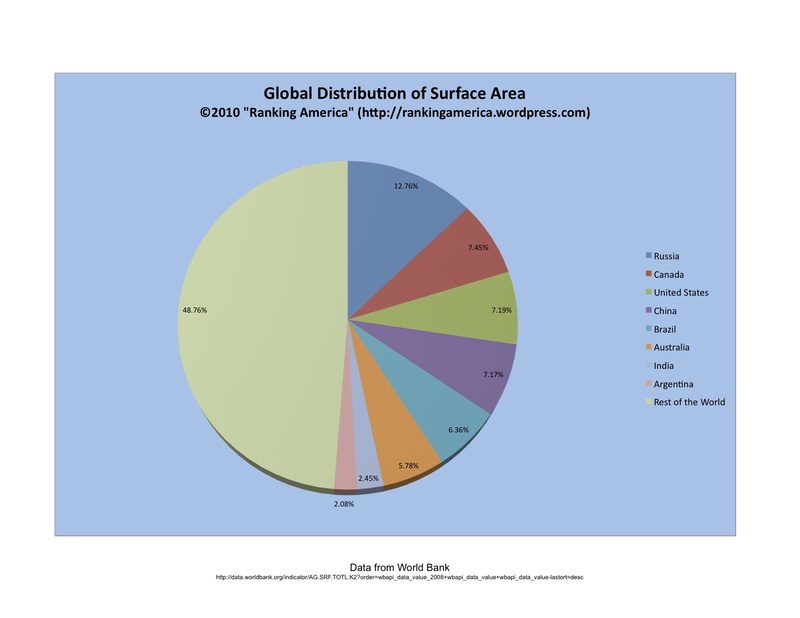 According to the World Bank, the United States has a surface area of 9,632,030 square kilometers, or 7.19% of the world’s total surface area. That is enough to make the United States rank third in that category. Russia ranks first, with a surface area of 17,098,240 square kilometers, or 12.76% of the world total. 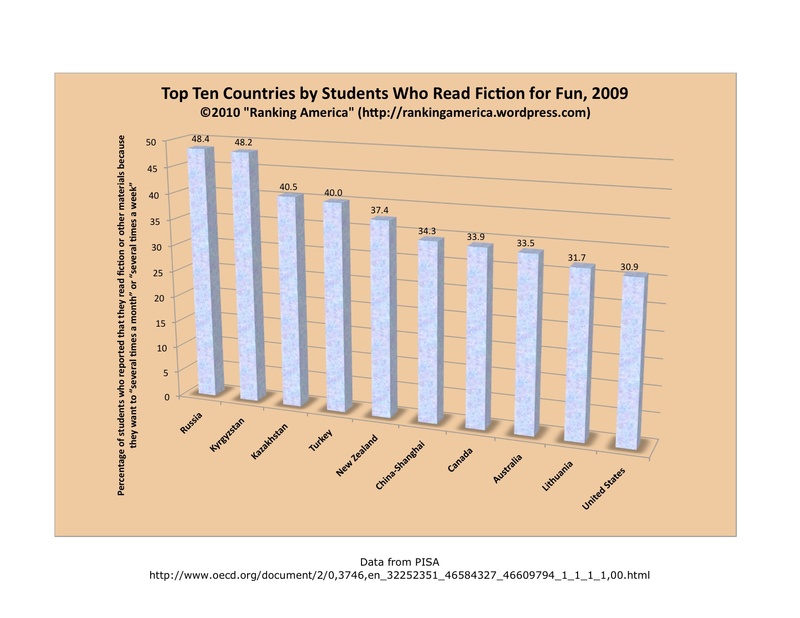 According to the 2009 PISA results, 30.9% of American students report that they read fiction or other materials for pleasure on a regular basis. That is enough to make the United States rank tenth out of sixty-five ranked economies. Russia ranks first, with 48.4% of Russian students reporting that they enjoy reading.